Dystopian December - Kristen Simmons! Why did you decide to write dystopian fiction/post-apocalyptic fiction? I like survival stories. I love seeing how people respond when pushed to their limits, and nothing sets the scene for that like dystopian fiction. People change when their basic needs - safety, food, shelter - are compromised. They become greater than themselves, or sink down to levels they never thought they'd reach. I love exploring those dynamics. What, or who, has been the biggest influence in your writing? My husband, who stuck by me on the long road to publication. It's absolutely crucial as a writer to have someone who believes in you and supports you no matter what (in my humble opinion). 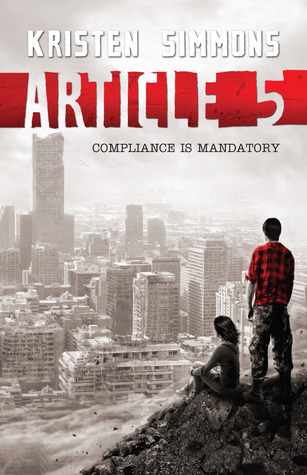 Tell us a little bit about Article 5 and the Dystopian world you have created. ARTICLE 5 takes place in a post-war America, where the Bill of Rights have been eliminated and replaced by the Moral Statutes. Freedoms we once took for granted are now illegal and subject to punishment by the government. This is the world that Ember Miller and her once love Chase Jennings find themselves trying to survive in. What do you think our future is going to be like? Can you see any similarities in the world that you’ve created and our world today? Ooh. This is a loaded question! I'd like to think that people will continue to exercise their freedoms and be welcoming of all different cultures and belief systems - that we will learn from each other rather than focus on our differences and stand divided - but it's hard to say. Intolerance breeds hate, and if we start (or continue) thinking we're better than others, I absolutely can see a world like that in ARTICLE 5 coming to fruition. What would be your favourite dystopian/post-apocalyptic novel? I love The Road, by Cormac McCarthy. He writes about really disturbing things in a beautiful way. Also, I am so grateful for the Hunger Games. Suzanne Collins really paved the way for young adult dystopian writers. I appreciate that! Thanks again for having me Claire! A big high-five to your readers! 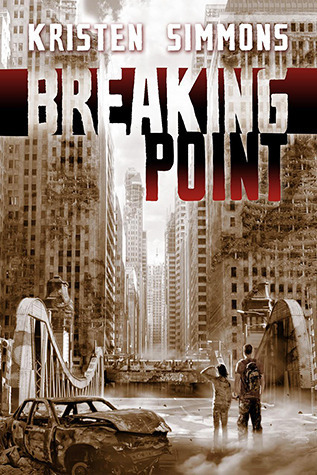 Synopsis: The second installment in Kristen Simmons's fast-paced, gripping YA dystopian series.